Man, I would love to see them in a verbal battle. 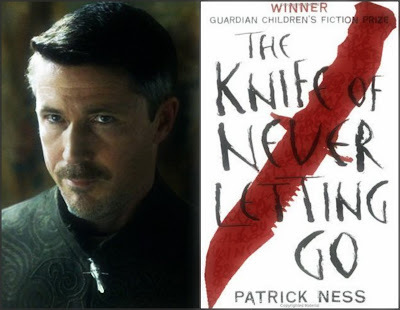 I have a feeling that Petyr Baelish will win this one really easy, since he seems to be the wittier one. It will be fun though, since both of them are slimy and have the power to manipulate people. Thank you Cynthia for hosting this challenge! That sounds like an awesome fight! Of course, I have not read The knife of letting go (yet!!). I love Patrick Ness though, so I think I should get on that.